The world needs icons. The Odyssey's form made from 904L steel, the seat with memory foam covered in Italian leather, and performance components from aeronautic materials steals your gaze. 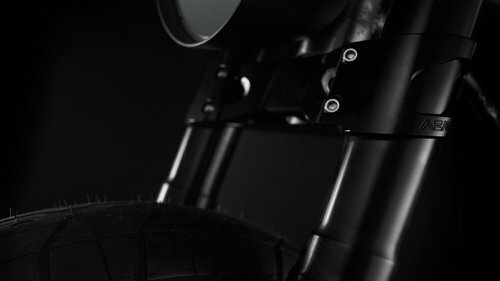 Fearless in design and perfect in craft, the Odyssey is the signature Bandit9; a leap into the future of motorcycles. You deserve nothing less than a bespoke piece. Thank you! We’ll be in touch regarding your order and next steps forward. Implemented with discreet technology and adorned in luxury components, the Odyssey permits no compromise in design, function and materials. Inspired by aircraft, the Odyssey uses Avionics to guide and manage your ride. The See-Through LED display is projected from below the tank and vanishes when off. A SINGULAR LED STREAM FUNCTIONING AS BRAKE AND INDICATOR LIGHTS. HIGH-GRADE STEEL, BORANI RIMS, MARZOCCHI FORKS, BERINGER AEROTEC BRAKES. THIS IS PERFORMANCE DESIGN. Clients who commission an Odyssey are given a personal touch. Fly in by business class to Singapore with your accommodation taken care of to witness the completion of your Odyssey. Meet the Bandits, check out our operation, eat some chili crab. After your trip, your Odyssey is shipped directly to your home using white glove delivery. The Odyssey is reserved for those who truly understand its design, appreciate its craftsmanship and respect its gravitas. Only 9 will ever be made.